Bedrooms are beautifully decorated in light modern colours and overlook the shared back gardens or a tennis court, which guests can use for a small fee. Studios2Let has a 24-hour reception and an entry phone system with CCTV. The British Museum is half a mile away, whilst all London’s attractions can be reached from the Tube. A different cancellation policy applies for bookings of 8 or more nights. For further details of the policy, please contact the hotel using the contact details on your booking confirmation. 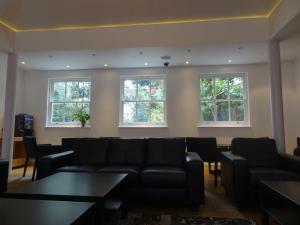 Studios2Let reserve the right to pre-authorise credit cards a week prior to arrival. Any pre-authorisations will be done in the currency of the country where this card is registered to and this cannot be altered on arrival.